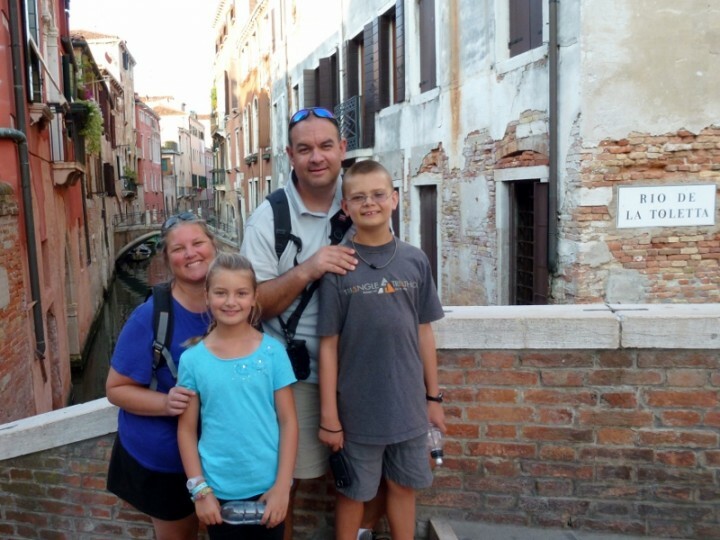 We have been blessed to connect with many amazing families online, all of whom have adapted a travel lifestyle in one form or another. We wanted to take the opportunity to introduce you to them here and highlight the positive aspects travel has had on their families. Welcome our interview series called Families on the Move. 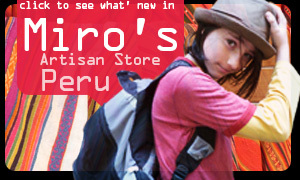 Miro & I are honored to a part of this global community we consider our extended family. I’m Clark and both my wife Monica and I do the blogging at FamilyTrek.org. When Monica and I were married we were yuppies and living the Double Income No Kids life in Santa Barbara. Over the past several years our life has radically changed — initially as we were rocked by the Great Recession and then as we made a very clear choice to embrace a different kind of life. 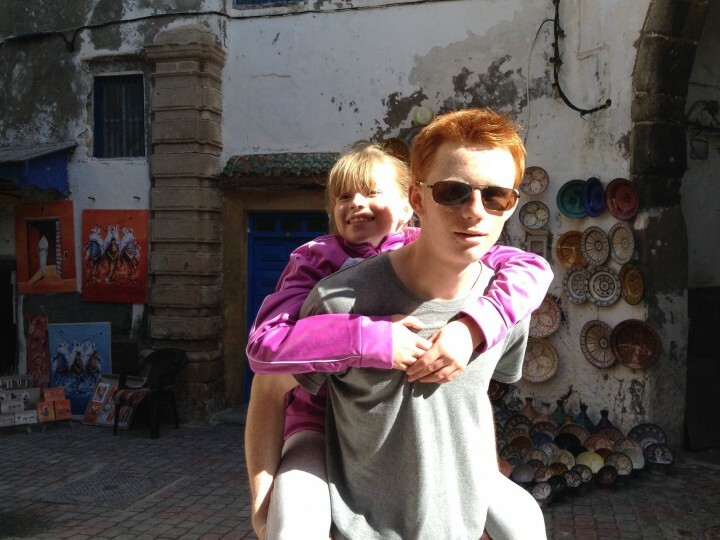 Joining us on this epic journey are our 2 kids Jackson and Emery. Jackson is 4-years-old. He’s a timid little guy but has a huge imagination. Emery is 2-years-old. She’s got a feisty personality and already loves packing her own bag when we go traveling. Where are you now, where have you been and how long have you been traveling? Tahoe offers. Before moving here we lived in Santa Barbara. Our longest stint of travel so far was a 6-month road trip across the United States and back. When we departed on the trip we viewed the trip as something we would enjoy for a season and then settle back into the grind — jobs, bills, mortgages, car payments, second car payments, gym memberships, yadda, yadda, yadda. Those 6 months changed our life and in many ways we have been traveling ever since. 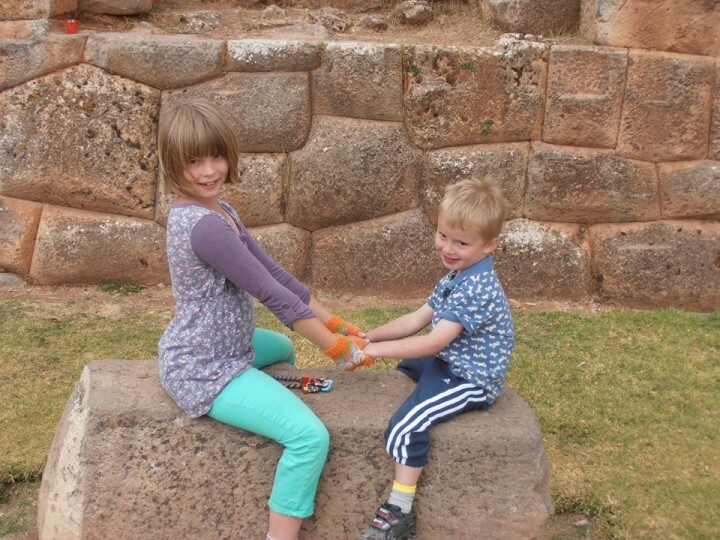 Why do you travel as a family? I’m trying to arrange my life so that it accurately reflects what I say I value most. 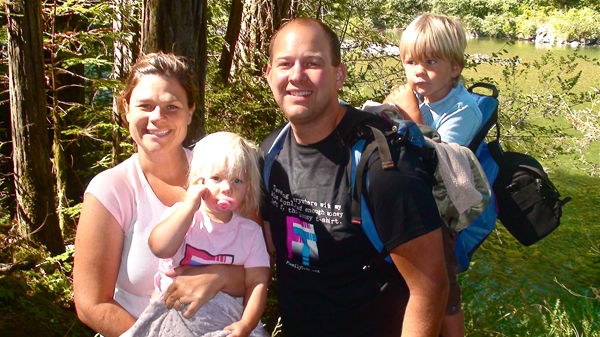 I value my family, and that’s why we’re committed to living a family travel lifestyle now. I’ve known too many people who gave the best years of their life to their career only to wake up at 65 and wonder what the hell happened to their life. They’re 65 and now they can travel. But they’re not traveling with their kids. Their kids are doing what they learned to do from their parents: work 60 hours a week with no time for a family vacation. Monica put together a great list of 10 reasons not to wait until you retire to travel and she made that same point in her list. The bottom line is that we love to travel. We love the adventure of travel. And we want to share those experiences with the people we love the most. What are some of the benefits your family has experienced as a result your travels? The relationships I remember the most from when I was growing up are almost all centered around travel. Whether it was something as simple as a summer camp when I was little or a service trip when I was in high school, traveling puts you in circumstances that draw you closer to the people you’re on the journey with. Each time our family travels and is confronted with the basic hazards of leaving our home we find ourselves drawing closer. As an unschooling, interest-led learning family we also believe that one of the most important lessons we can teach our kids is simply to be resourceful. I don’t care how much you know, if you can solve problems you’ll be successful in life. Travel continually exposes us to new experiences and new problems to solve. I can’t think of a better education than traveling and we believe our travel lifestyle will will build resourcefulness and confidence in our kids. What inspired you and your family to incorporate travel into your lifestyle? 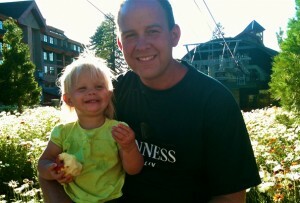 Just a few months after our son Jackson was born I quit my job to pursue an entrepreneurial venture in Santa Barbara. That was January 2008 — right as the global economy began to feel the contractions of the coming economic meltdown. The deal fell through and I did not have a Plan B. So I had to come up with a new Plan A. A year later, January of 2009, was when we set off on our 6-month cross country road- trip. I mentioned earlier that we always thought that at the end of the 6 months on the road that we’d settle back into a “normal” American life. But when we got home in July Monica was 6 months pregnant. I realized that the life we were living at that moment allowed me to spend more time with my son Jackson than almost any other dad that I knew. I hated the thought of just going to get a job somewhere and missing all those times with Emery. I didn’t want to give my best years to my job. I wanted to spend time with Emery just as I had been able to spend time with Jackson. I figure there are a lot of people who have that same agonizing thought — the thought that they are missing their kids growing up. At that moment that’s all I had: an agonizing thought that the past 18 months since I had quit my job were not real. It was not sustainable. But what the mind can conceive it can achieve. 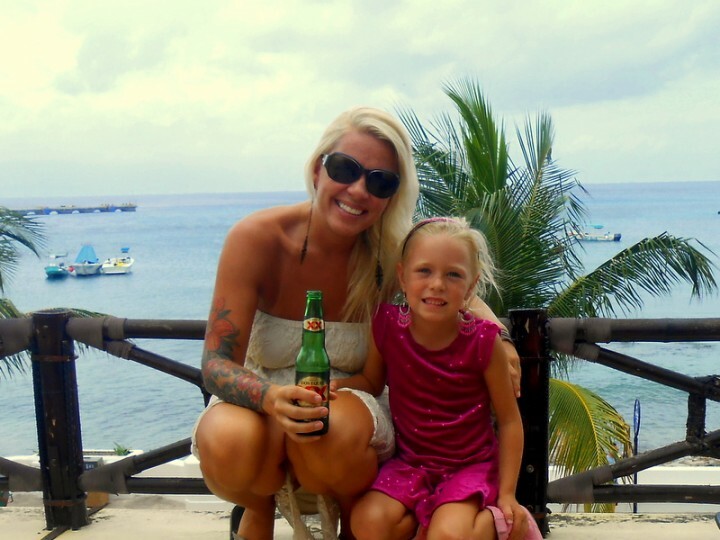 Now we’re on a quest to work less, live more, and travel the world as a family. How do you address education while you are traveling? I think this is a funny question. We’re planning an open-ended Round the World Trip and people are always asking us, “What are you going to do about school?” I mean how could we expect our kids to succeed in life without going to school? What I want to do is ask them how they expect their kids to succeed in life by putting them in a contrived environment where education is attempted completely out of context. Our approach to education while traveling is the same as when we are at home. All of us — both parents and kids — learn in context. It’s working so far. You should have seen our kids when they were born. They didn’t know how to do anything but breath, eat, and poop. Now they know all kids of stuff and can do all sorts of things! And they’ve learned everything from us or people or experiences we’ve exposed them to, all without one day of school. While this unschooling approach is viewed as radical in some circles, it’s the way kids have been educated through most of history. Brick schoolhouses and classrooms? An hour for math and then science and then line up for lunch. Now that’s radical — and a fairly new approach to education. How do you and your family experience being global citizens? This is one of my all-time favorite travel memories. What I think is special about the moment is that we both knew that this was his country, not mine. He was hosting me. As long as we could call one another friend, though, he was willing to share whatever he had with me. I try to take this approach when I am home in the States and run into people who are traveling from abroad. I want to help them in any way I can. I want to be a good host. I want to call them friend. Can you share one of your families most memorable experiences? We love traveling in Ireland. Monica moved to Ireland just after we started dating. The day she flew back to the States we went looking for a ring. I didn’t know it at the time, but she actually had her wedding dress in her luggage. A few years ago we went back as a family — when it was just the 3 of us. We started on one particular morning in Waterford and our general plan was to sleep that night in Blarney. It was just a general plan, though. Nothing was set in stone so we set off traveling slow, stopping whenever we wanted to enjoying each moment. It’s not impossible to travel fast in Ireland — I mean they do have tour buses criss-crossing the country — but you can’t really travel around Ireland and travel fast — but to really experience Ireland you must travel slow. We stopped in a little town called Dungarvan where a street festival was taking place and took our time. 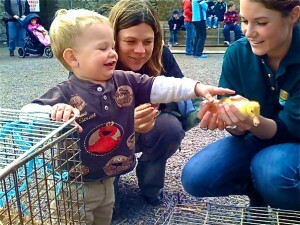 Jackson was able to pet chicks and play with some of the local kids. We never felt rushed to leave and stayed as long as we wanted, then got in the car and continued on our journey. We stopped at a little remote beach. The water was cold, but I couldn’t resist jumping in the Irish Sea. We finally did make it to Blarney. We didn’t kiss the Blarney Stone — Monica and I had already done that years ago. Instead we just laid around in the gardens. We went to dinner at a restaurant that felt more like someone’s living room. We stayed that night in a little room above a pub. Can you share one story from your travel experiences when you and your family had an “aha moment”. Jackson was 16 months old the first time he went swimming in the Caribbean on that trip to the Corn Islands. It was this idyllic moment when all felt right in the world. It was like the universe was a great symphony and our lives at that moment were perfectly in tune. It was Jackson’s first swim in the Caribbean but it was my first too. I remember thinking at the time that it’s taken me almost 30 years to get there and Jackson had done it before his second birthday. As a dad my instinct is to give my kids the world. But as we swam in that crystal clear water I remember thinking that I didn’t want to give me kids a bunch of stuff, I literally wanted to give them the world by traveling the world with them. Right now we’re enjoying Tahoe. My philosophy is, “wherever you are, be there until you leave.” This area has so much to offer and every season brings new opportunities. We do lots of traveling from here. This summer we have a lot of camping trips planned throughout California. In the fall we’re spending a month in Central America — haven’t decided where exactly yet, but I learned to ski as an adult and now I want to learn to surf. Our eyes are fixed on the grand prize though — an open ended Round the World Trip, which we plan to begin when we accomplish our goals of getting out debt and building up our location-independent income, 2 goals we’re on track to achieve. We’re on a quest to work less, live more, and travel the world as a family. What the mind can conceive, and believe, it can achieve. And I believe it, baby! Thank you for the opportunity to share our story in this format. It’s funny how after hundreds of articles on our own blog that when someone asks you simple questions you begin to think about those topics in new ways. Answering your questions in this interview — especially your question about what inspired us to incorporate travel into our lifestyle — really did lead to introspection. Thank you! I have to admit the tidbit about Clark and Monica writing a postcard to their son/selves made me a bit teary-eyed. What a neat idea, and yes…there is life beyond a classroom…education that is much more in-context!!! Thanks for hosting this interview of such a great family! Very nice touch Dad – The postcard idea is a keeper! Won’t it be interesting to see where you are in 2 years. This interview is a postcard in some ways.